Ed joined BAI in 2018 and leads the Learning & Development online training line of business. 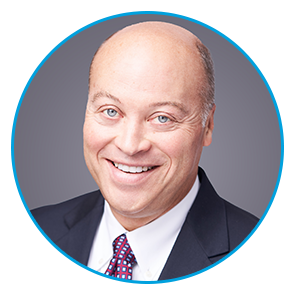 He previously held leadership roles at technology companies including Specifi, ShopperTrack, ACEOS and Microsoft. Ed received an M.B.A. in Finance and Management Strategy from the Kellogg Graduate School of Management at Northwestern University and a B.S. in Aerospace Engineering from the University of Notre Dame. 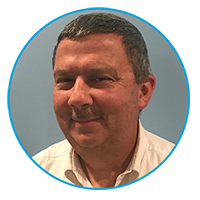 Richard Fitzgerald has been building and sharing his advanced knowledge of the design, delivery, administration, and evaluation of training and development processes for 25 years. In 2001 he joined BMO Financial Group as a Senior Faculty Consultant with BMO’s state-of-the-art Institute for Learning. Since then he has been recognized as a highly driven learning leader and has been promoted several times within BMO. His nearly ten-year current role as a Senior Compliance Manager with BMO’s compliance division includes overseeing enterprise-wide ethics, legal, and regulatory compliance training for 60,000 employees worldwide. Richard is also active in his community and has held many different volunteer positions, including his current post as a Public Library Trustee. Marybeth is a proven leader with primary responsibility for overseeing the management of risk for Fifth Third Bank’s Payments Bank. She leads the Business Controls team that is responsible for ensuring the adoption of key risk programs, and partners with process owners and other line of business partners to identify, escalate, and report on associated risks. She also serves on internal boards and committees on a variety of topics from regulatory focused groups to strategic business groups. 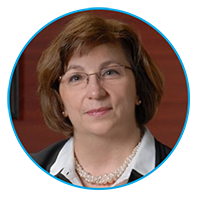 Prior to her eleven years in a variety of leadership roles with Fifth Third, Marybeth held leadership roles at First Data Corporation.